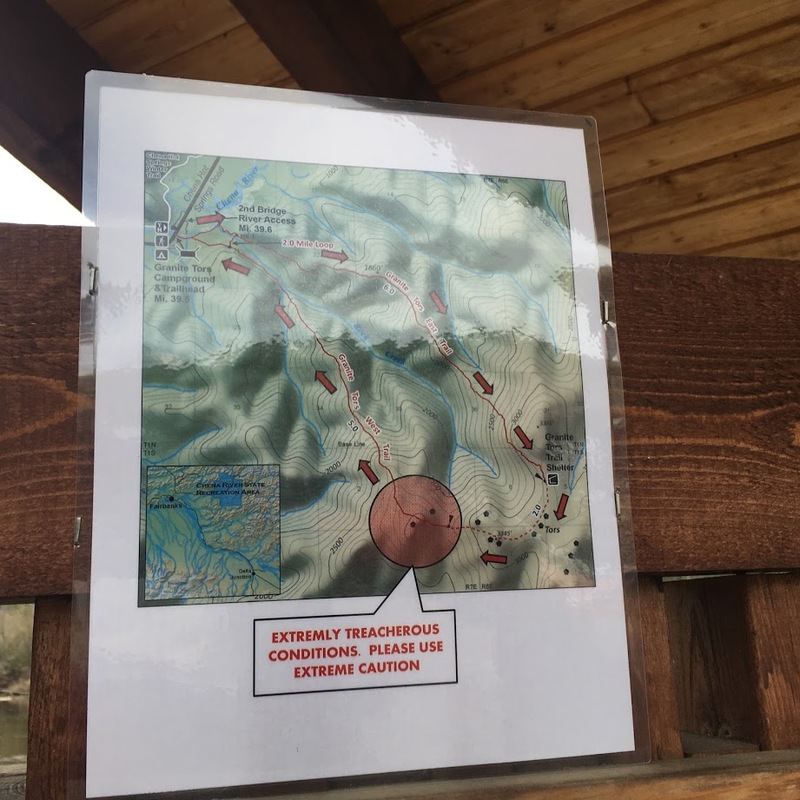 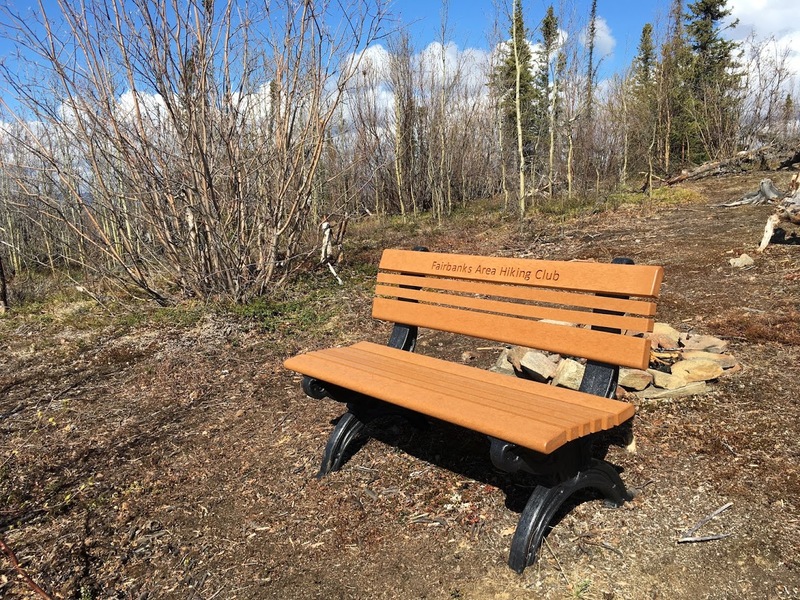 Access: Trailhead is at the Granite Tors Campground Day-Use Area at milepost 39.5 Chena Hot Springs Road. 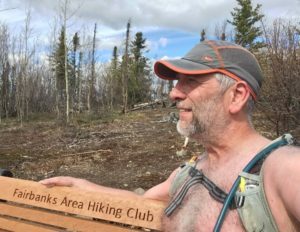 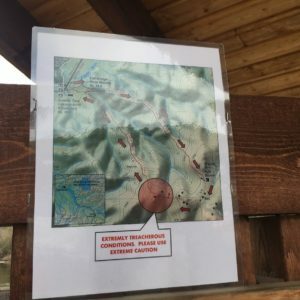 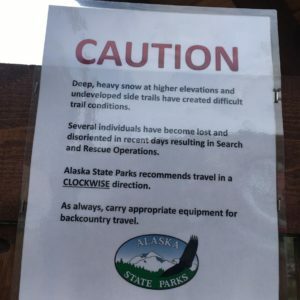 Trail or route conditions, wildlife sightings and any highlights from the trip: The entire trail is not ready for prime time, but the “2-Mile Loop,” (which is actually 1.75 miles) is fine. 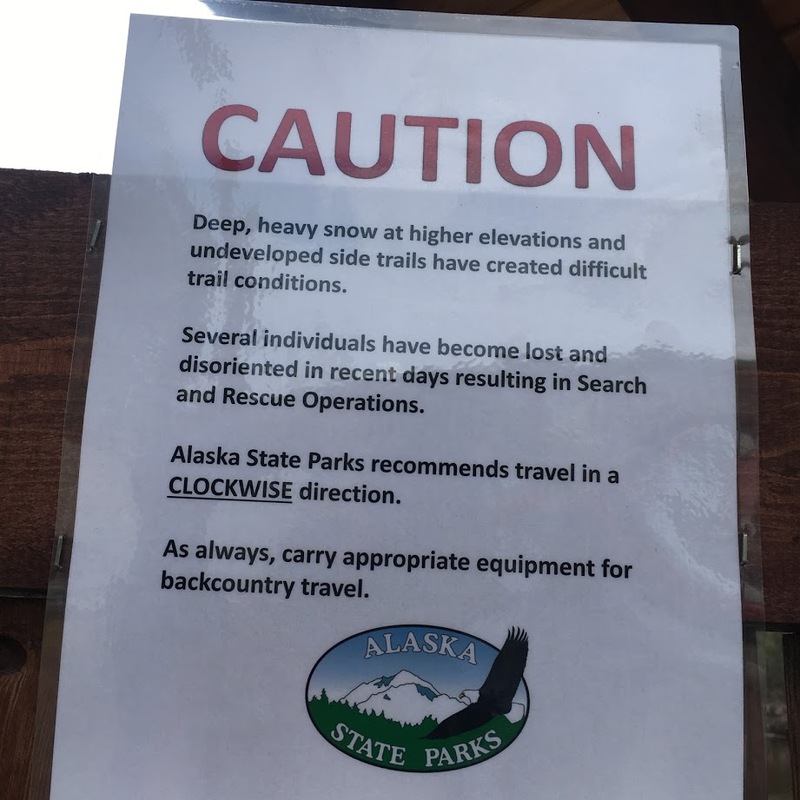 I attempted the entire trail clockwise after reading a warning posted at the trailhead by State Parks about a “treacherous” section toward the top on the western leg. 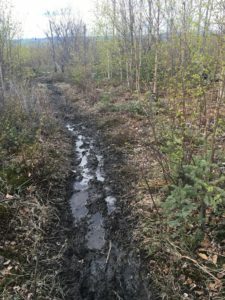 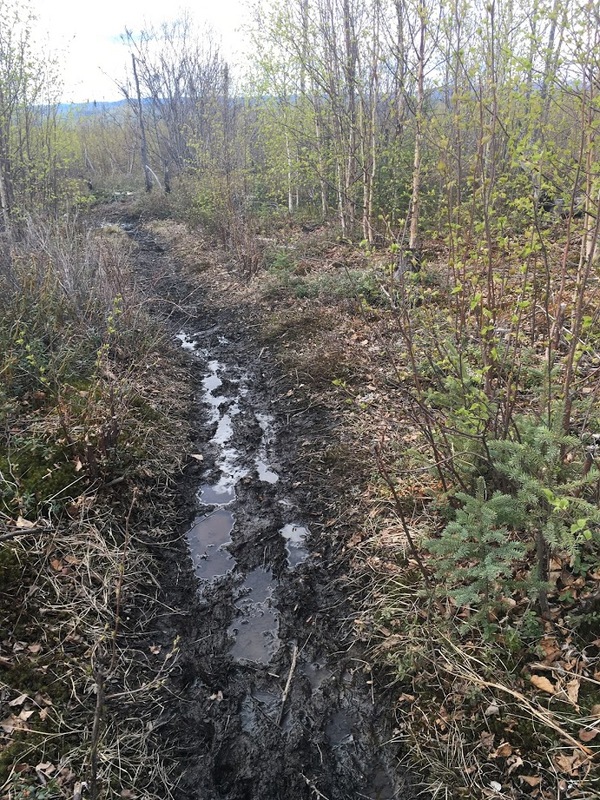 After about two miles the trail started getting muddy and had long muddy sections for about another mile or two. 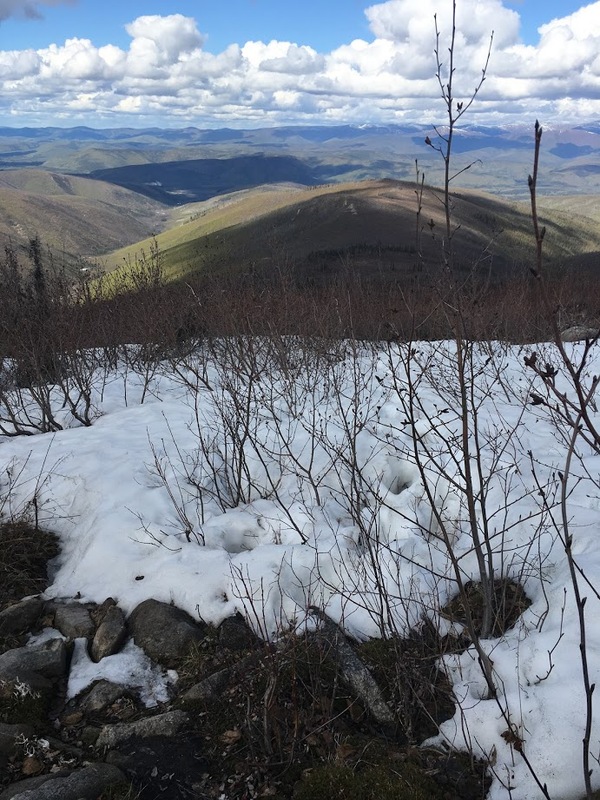 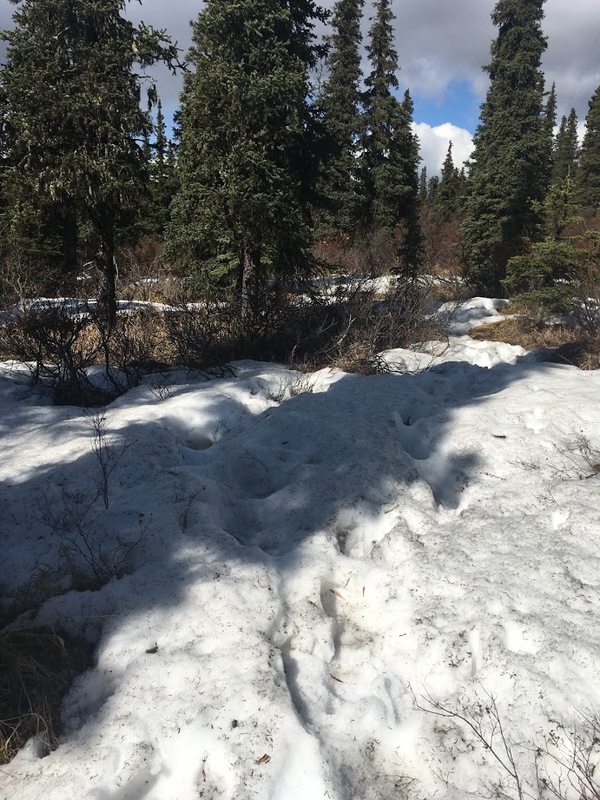 Farther uphill, the trail dried out, but then I ran into many patches of snow that I had to either bushwhack around or posthole through. I turned around at the trail shelter at about Mile 7. 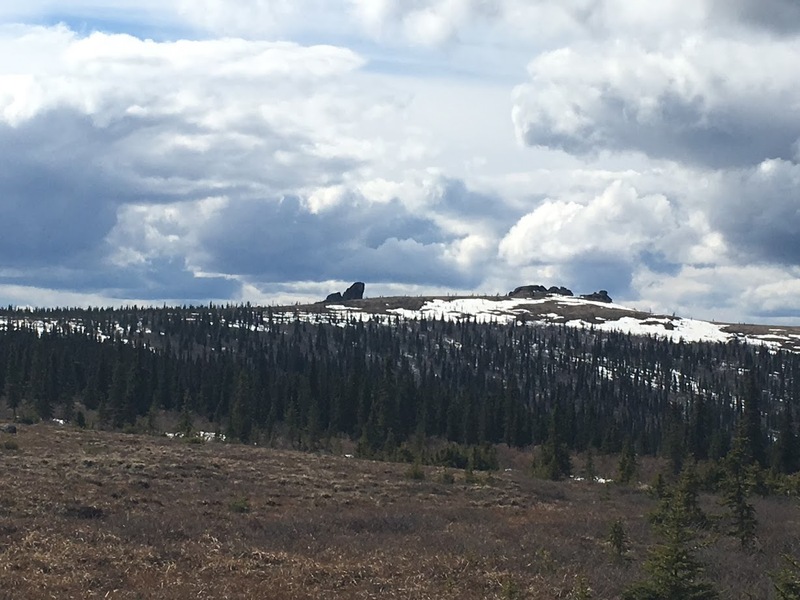 There’s still quite a bit of snow on the Plain of Monuments on top. It looked like I might have been able to do the entire loop without running into too much snow, but I didn’t want to hike another 2-3 miles and have to turn around, especially since I couldn’t get a good look at the “treacherous” section. 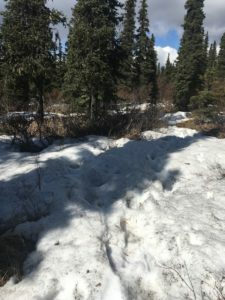 It was a good day to be out, but I wouldn’t attempt the trail for another couple of weeks in order to let the snow patches melt and the trail dry out.